Lock in a great price for Hotel Klarov – rated 9.2 by recent guests! We were pleasantly surprised with the separate bedroom from the living area. this was great for when our son went to sleep we could relax without worrying about waking him. it's a 10 minute walk to the castle and the tram is across the street. perfect location away from the hustle and bustle but we could walk to all the major attractions with ease. the staff was very accommodating with a pack n play and a stuffed animal for our son. breakfast was great. wonderful experience! We arrived and were greeted to a warm Anniversary surprise, the hotel upgraded us to a Jr suite and had a bottle of Champagne, chocolates and rose pedal hearts on the bed. 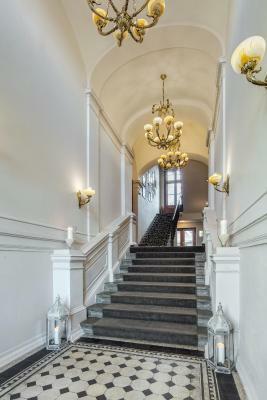 Regardless of the upgrade the hotel is located just below the Prague Castle, walking distance for those looking for a up hill workout or buy your public transportation tickets across the street at the newsstand and take the 22 or 23 car up the hill to the main gate. 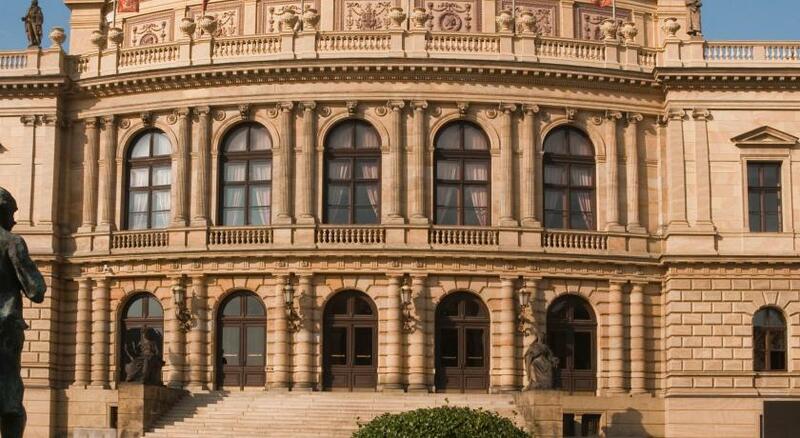 Then use your tickets to see the sites of Prague. 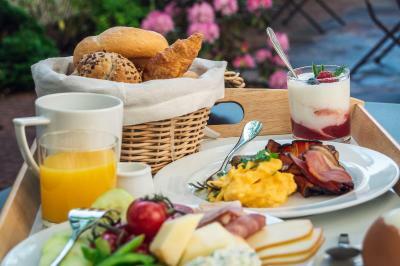 The breakfast was great and we really enjoyed the courtyard. The hotel is located in an historical residence that was recently restored. The location is perfect, close to all major attractions. Our room had the most amazing view of the Castle and the river. Staff was amazing suggesting and booking concerts and other activities as well as suggesting restaurants that were exactly what we were looking for. During the trip we stayed at other fancier hotels but this had the best service! Would definitely stay here again! Most of the staff was very good: professional, friendly, and helpful. The room was beautifull and really big. the staff was really nice. and the location was perfect- I walked everywhere. Hotel Klarov This rating is a reflection of how the property compares to the industry standard when it comes to price, facilities and services available. It's based on a self-evaluation by the property. Use this rating to help choose your stay! 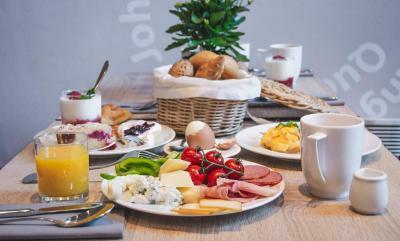 Set in the heart of the historical center of Prague, the boutique Hotel Klárov offers rooms with stunning views of Prague Castle, the Vltava river or the historical buildings of Malá Strana district, and breakfast prepared from local produce. Renovated in 2015, the modern spacious rooms with high ceilings are fitted with free WiFi and a flat-screen satellite TV. 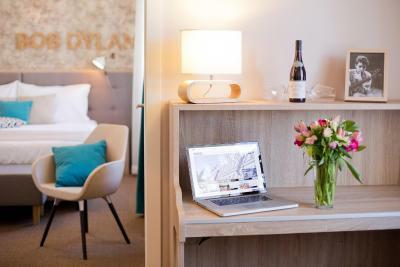 The rooms are decorated in a contemporary design and luxurious L'Occitane toiletries in the bathroom. Guests can relax in a garden or explore the sights. 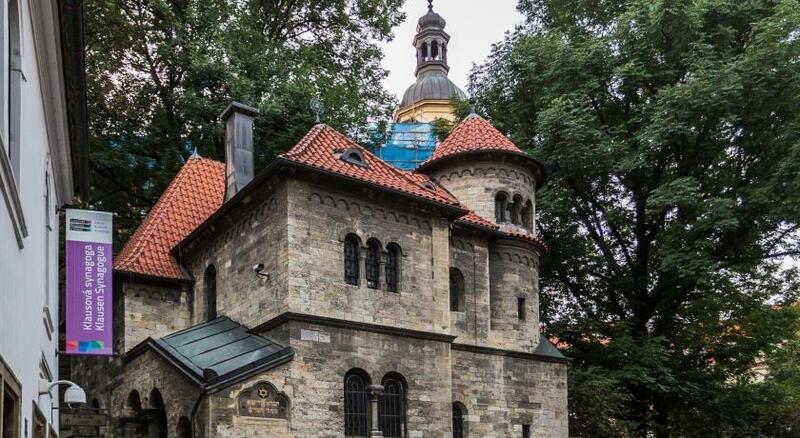 The Charles Bridge can be reached in a 5-minute walk, the Wenceslas Square and the Astronomical Clock on the Old Town Square are 15 minutes away and the Prague Caste is 1,650 feet off. Many restaurants and bars can be found nearby. 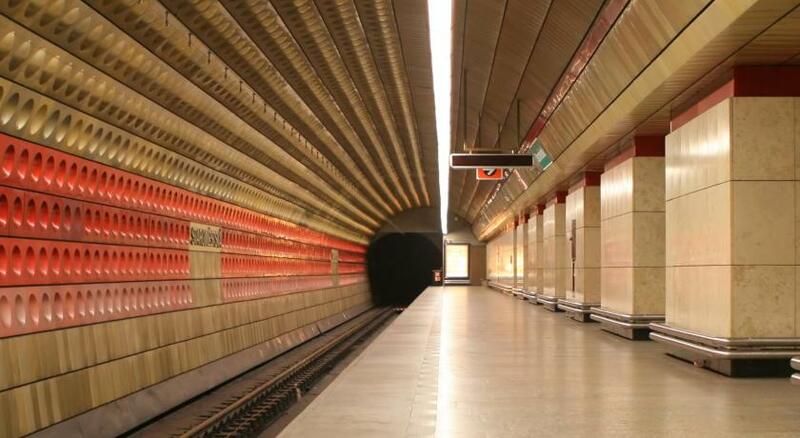 The hotel is located 350 feet from the Malostranská Metro Station. An airport shuttle is available at additional cost upon reservation. When would you like to stay at Hotel Klarov? Offering views of Prague Castle and Charles Bridge, this room, as of March 2015 renovated and decorated in a contemporary design, provides a flat-screen satellite TV, luxurious L'Occitane toiletries in the bathroom and coffee machine. Public parking is available at a location nearby (reservation is needed) and costs EUR 27 per day. 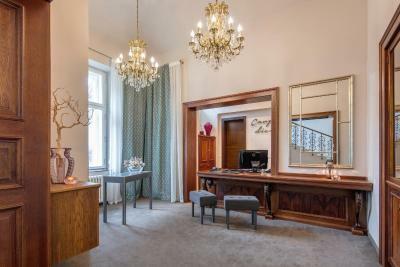 With views of the Vltava River or Prague Castle, the suite has a bedroom and a living room, flat-screen satellite TV, luxurious L'Occitane toiletries in the bathroom, a Nespresso coffee maker. As of March 2015, it is renovated and decorated in a contemporary design. 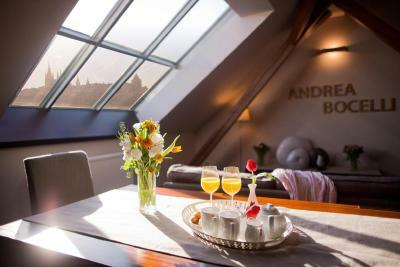 Located on the top floor with a beautiful view of Prague Castle. They have a bedroom and a large living room, flat-screen satellite TV, luxurious L'Occitane toiletries in the bathroom, a Nespresso coffee maker. As of March 2015, the suite is renovated and decorated in a contemporary design. Offering magnificent views of the Government House and River Vltava, this elegant room, as of March 2015 renovated and decorated in a contemporary design, comes with a flat-screen satellite TV, coffee machine, and a spacious bathroom fitted with a bathrobe, slippers and luxurious L'Occitane toiletries. Chic boutique hotel is designed with relaxation in mind, and even the reception area is done up like a cosy living room. All rooms were completely redesigned in 2015 and bear the stories of famous musicians and music bands who held concert in Prague in last twenty years. 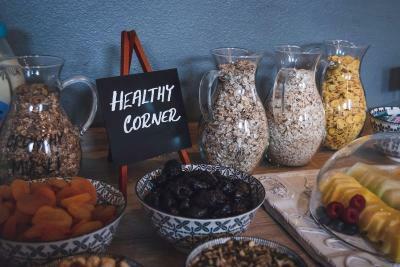 Downstairs there's a nice breakfast room serving a buffet spread with hot and cold dishes. There's also a lovely little courtyard garden to the rear that is perfect for relaxing with a glass of Czech wine or a coffee in the warmer summer months, with comfy seating and plenty of greenery. House Rules Hotel Klarov takes special requests – add in the next step! Hotel Klarov accepts these cards and reserves the right to temporarily hold an amount prior to arrival. Great location, beautiful hotel, wonderful staff especially the lady who met us and explained the best places to visit, where to exchange money etc. Highly recommended!! Thanks!! The service was great! The location is excellent! Lack of restaurant. The possibility of refreshments is limited. But that´s the end of deficiences. Very good location, spacious, clean room. Despite location in the city center quite quiet. Parking in front of the hotel in the blue zone. Tasty breakfast. Polite and helpfull staff. Small garden inside the hotel for smokers. Everything from check in staff to breakfast to location to old world charm to checkout...excellent experience! The noise from the trams nearby, fans only in the room no air conditioning. Nice boutique hotel only 5 mins walk to castle. Bed was great, breakfast was good. Just across bridge to main town centre. Room is a little bit old. The furnitures are old. Everything was great. If I have to say, i wished they had green salad and take-away cups for breakfast. The bathroom counter could be more spacious so I could put my cosmetic pouches and stuff. Beautiful building, classic from outside, nice and modern from inside. Clean and simple bathroom with excellent natural light. Riverside location with just 10 minutes pleasant walk up the hill to the Prague Castle. Metro just across the green field. Paying for every cup of coffee you take in the room ! Seriously? This was not a cheep hotel and to charge extra for coffee is just a bit much ! Charge for coffee in the room, should be free as per all other international hotels. Couldn't get much air into rooms and was so warm. No airconditioning. Parking was a problem - we had to pay additional 1900 euros for our 3 night stay as they told us car parking was full at hotel. Wished I had known this as that might have changed our chouce of hotel. Made it so expensive. Staff were very nice and helpful in booking tours, etc. Drinks were always available in courtyard.